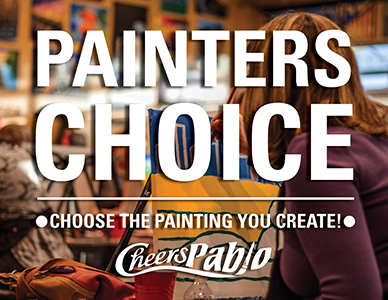 Your painting, your way! In this creative class, you choose whatever you want to paint from our gallery of over 500 paintings, which you can find under our “preview all canvas” option under the calendar tab. No main room demo but we supply you with our step-by-step handout and an artist will help you if you need it. To do! Please add your painting selection in the note section with your online registration.